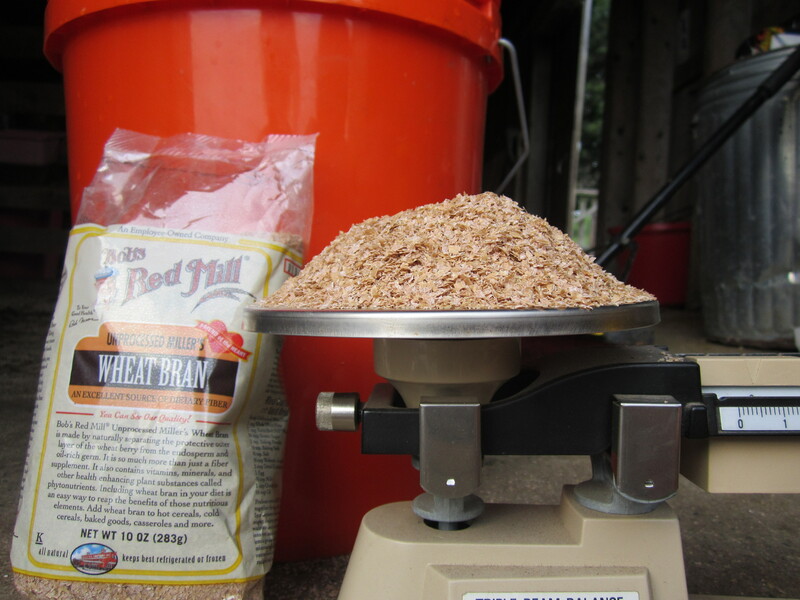 Weigh ingredients and place in a bucket full of warm water. 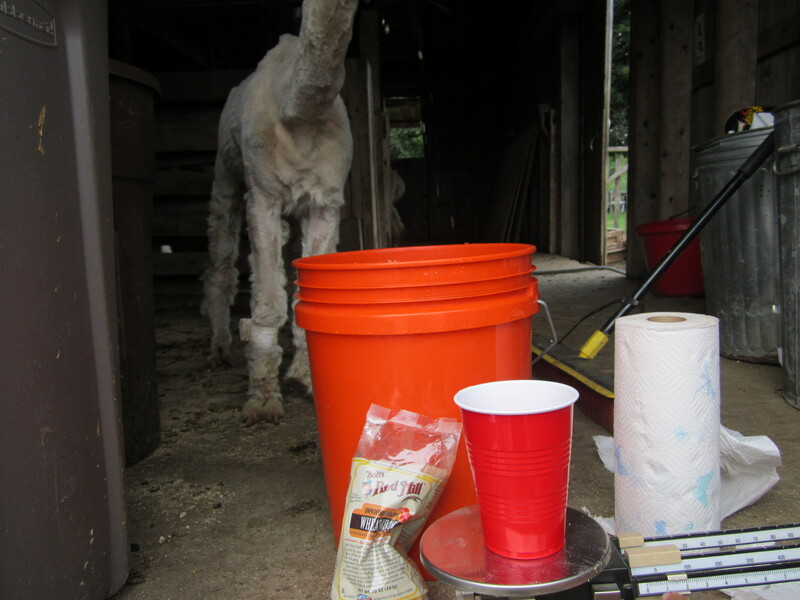 Alpacas do like to supervise! Stir all ingredients to combine. Now let it sit for about a week. Stir daily but make sure to stir slowly. You do not want to introduce oxygen in to your vat. Fill bucket to within 2 inches of the top. If your temperatures were warm enough, within a week your vat will have a shiny coppery look on top and a dull yellowish color liquid. Perfect!. 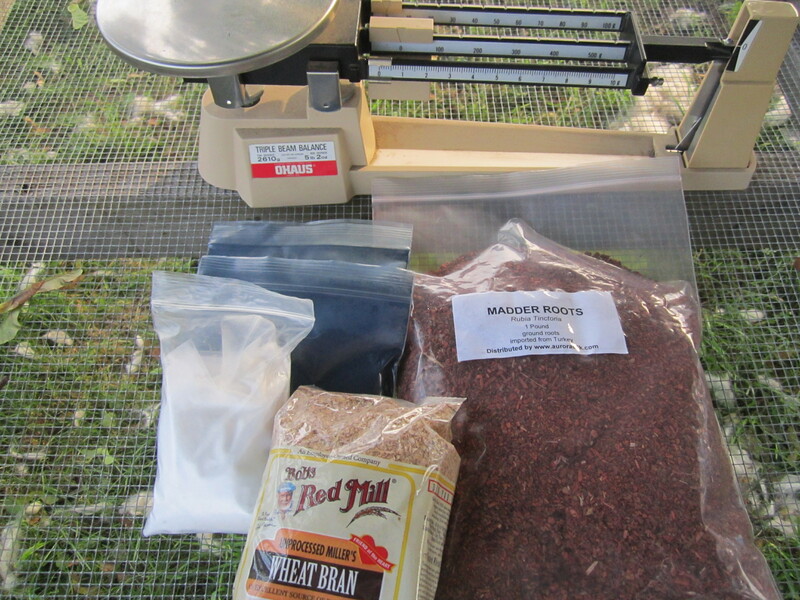 Add wetted fibers and dye! To reconstitute your vat just add the ingredients and start the process over. 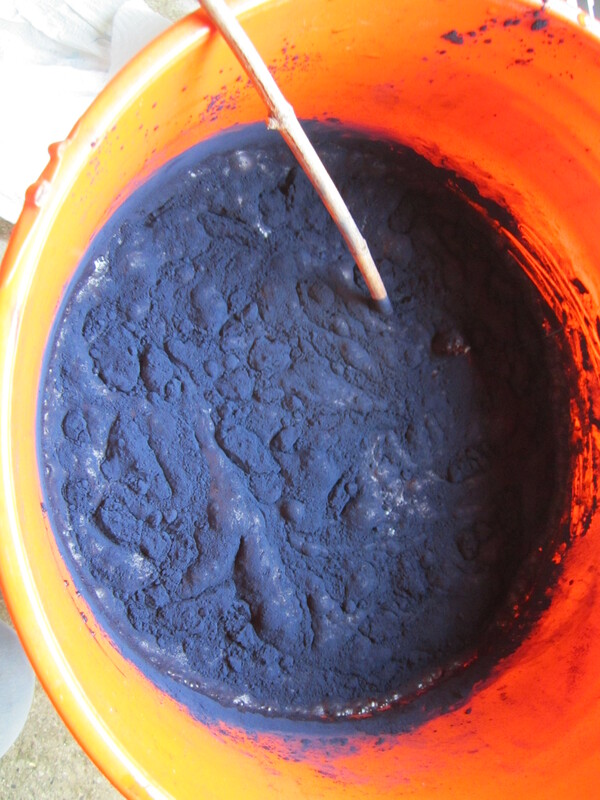 Some variegated indigo dyed alpaca. 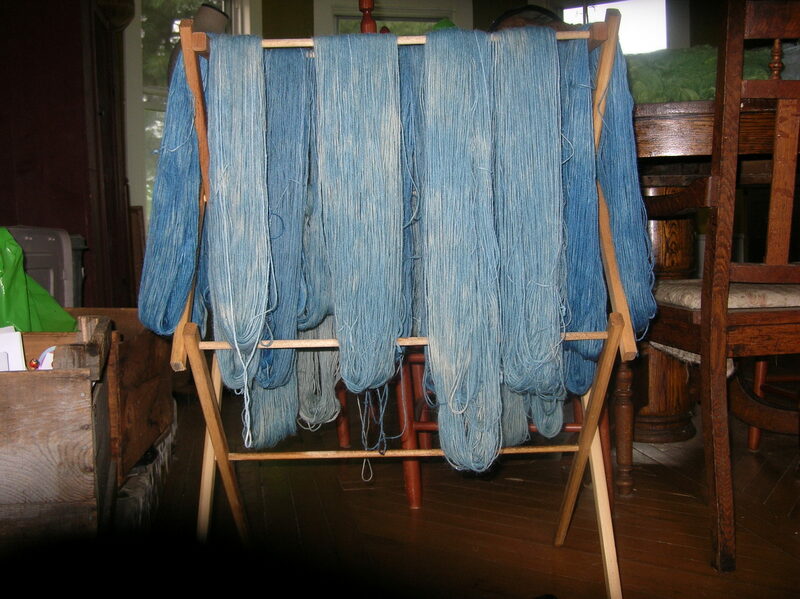 This entry was posted in Naturally Dyed Yarns and Products, Uncategorized. Bookmark the permalink.